Today’s review comes to us from approximately 10 miles southeast of York, PA. Every once in a while, I get to review a product that makes me go, “Wow, this can go big!” This rub definitely fits in that category. 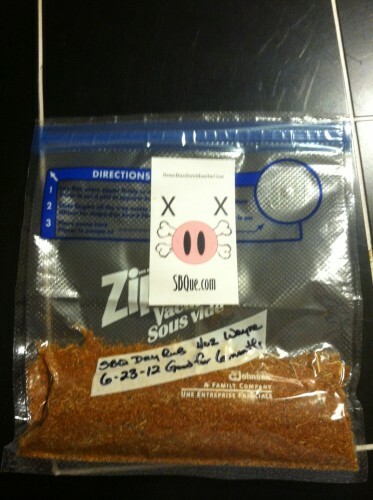 Let’s check out SBQ Dry Rub. I know what you’re thinking… “That looks an awful lot like a Ziploc bag.” Well, you would be correct. But don’t let the packaging fool you… there’s an awful lot of goodness in there. SBQ Dry Rub is the product of Sean Bardwell of SBQue.com. I follow Sean on Twitter (@SBQue) and am always enamored over his food pictures. 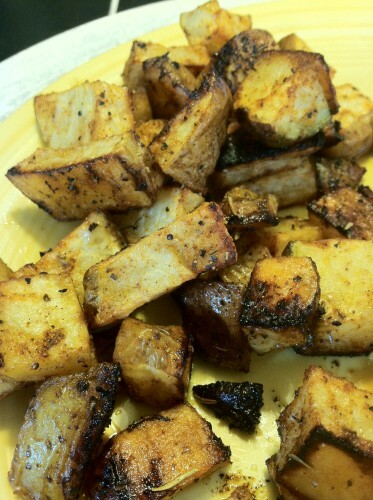 He is a BBQ fanatic (like I am) and has pursued his passion by creating this spice blend. He utilizes all natural spices, smoking his own ingredients and packaging everything by hand. To put it simply, this is a versatile rub! 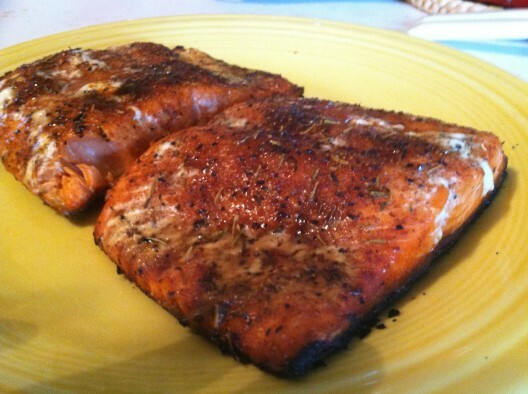 I’ve used it in multiple ways — on pork chops, on rib trimmings, on oven-roasted potatoes and salmon… each and every time the seasoning has worked beautifully! No matter what I used it on, the rub shined through by adding that extra flavor to make the food just pop! If I had to complain about one thing… IF I had to… it would be the price. 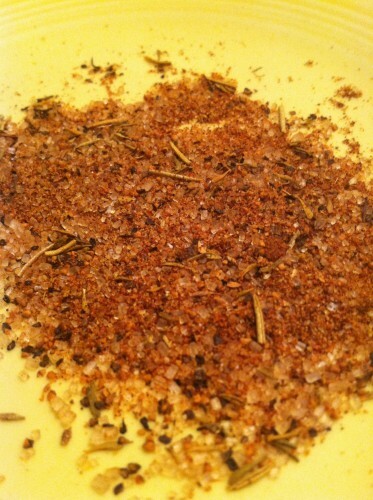 Eleven dollars will garner you 8 ounces of this rub. The price is somewhat steep, but the product is excellent! Great review Wayne! The SBQ Dry Rub is an awesome rub! It really is a versatile rub that can be used on just about anything. Love this rub!